It’s no secret that today’s reimbursement programs compensate providers for keeping care costs in check. So for years, researchers have closely studied the financial impact of hospitals owning their own post-acute care providers. While past reports have yielded inconclusive results, a recent analysis published in Health Care Management Review offers some interesting insight into which types of relationships translate to greater profits. As of 2015, data suggests that roughly 80% of U.S. hospitals owned their own source of post-acute care, although the kinds of providers varied. The study took a look at skilled-nursing facilities, home health agencies and inpatient rehabilitation facilities in particular, with a focus on the cumulative costs associated with ‘episodes of illness.’ Their findings show great promise for hospitals, especially given impending changes to current payment models (see our latest post on preparing for PDPM). 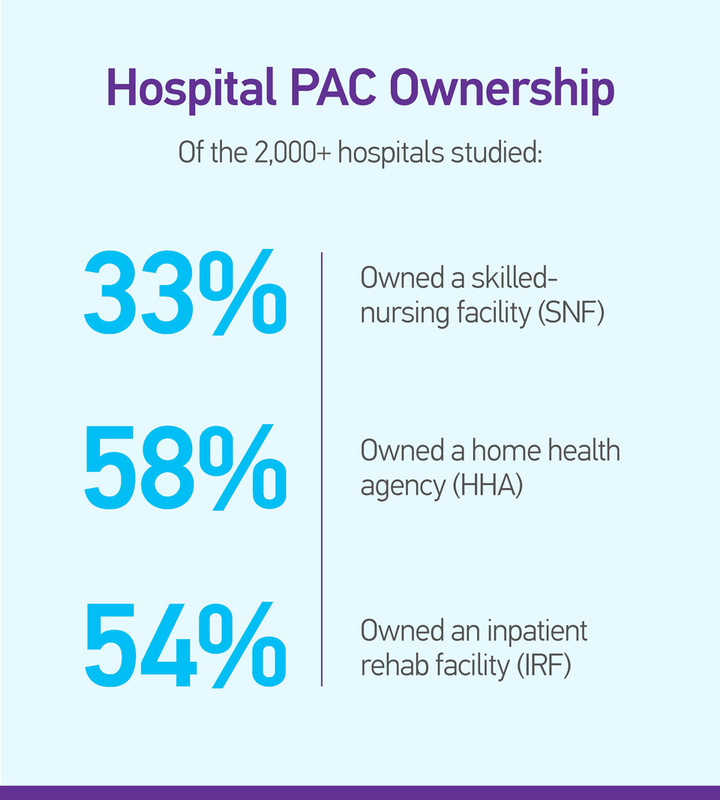 Still, it is important to note certain types of PAC ownership actually result in higher overall care costs. The results indicate that hospitals owning SNFs or HHAs saw higher rewards and lower costs of episodic care. However, hospitals owning IRFs suffered the opposite effect, with treatment totaling more money across the board. Furthermore, by tracking trends associated with these types of ownership situations, PAC providers (of all kinds) can glean important strategies sure to benefit patients and facilities alike. Stay tuned for more cost-cutting industry insight, and as always…..